Disclaimer: This article is written from my point of view of my past experience. Some details may not be 100% accurate. This past weekend marked the end of a four-year run of one of the most ambitious and professional fan-made video game projects to ever exist. Programmed World was the brainchild of a man whose name or even online handle I won’t mention here. But for everyone in the community who does know him, he is greatly respected for what he accomplished. Named after a Kors K song that is in Beatmania IIDX, it served two purposes: to provide game data to arcade machines with no legal way to legitimately purchase it, and to provide a network service for those games. Konami’s Bemani series of rhythm games have always had a cult following in America and other territories outside of the primary focus of Japan, Korea and other Southeast Asian countries. 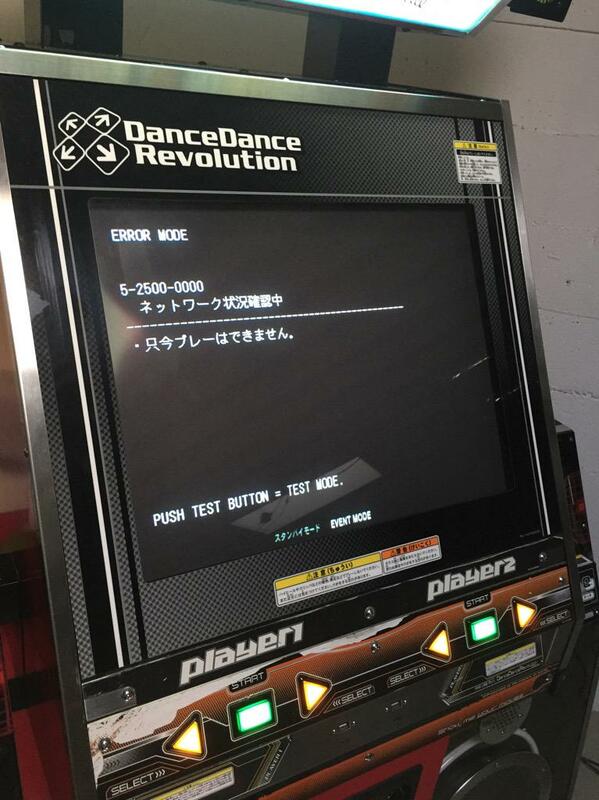 Since the early 2000’s, Dance Dance Revolution was enormously popular and served as the “gateway drug” into other Bemani games, with beatmania IIDX being the primary focus. Beatmania IIDX has been the flagship Bemani game (The Bemani name is taken from Beatmania) ever since it’s popularity in Japan eschewed the original 5-key Beatmania game. Machines are very common to find in Japanese arcades, but are few and far between in America. Where imported DDR machines were very common in American arcades in the early 2000’s, there are less than 25 Beatmania IIDX cabinets in the US. Despite this, most of these machines have a dedicated group of players that continue to pay to play to this day. For American operators who had imported a used machine, there was really no easy way to purchase these kits. If you had a Japanese connection, you might get hooked up. Generally though, you had to buy last year’s version of the game when the old kits get resold on Yahoo Japan auctions. e-Amusement service was not an option at all, but it wasn’t a critical loss at the time. Most Americans were playing the home versions of IIDX and manually recording their scores on a service called VJ Army. If you were lucky enough to live close to a machine, you generally just played for fun. Enter 2012 and the old ways perish. Starting with Beatmania IIDX 20: Tricoro, Konami changes how all of their arcade games are purchased. Instead of rolling out yearly kits, games are continuously updated throughout the year with online patches and DLC. New major releases are updated via a DVD that gets sent out to operators, which is used to overwrite the old version. Hard drives and license dongles are not changed anymore, so there is no longer an old version that can be resold. More importantly, e-Amusement service participation is now required in order to play the game. No service and the game will refuse to boot. With these changes, Konami changed how they charge for the game. Instead of charging the flat rate for kits and e-Amusement service, they now simply take a 30% cut of the machine’s revenue. Depending on how many 100 yen coins versus how much Paseli (Konami’s electronic cash) was spent on your machine, you either got a check from Konami, or a bill at the end of the month! As for the American arcades at this point… forget it. They latest version that works offline is 19: Lincle from 2011. But getting back to Programmed World, we have to go back to 2011. Programmed World was created in 2011 as a fan project that was designed to provide e-Amusement service to America and other countries where it could not be obtained. It was a successor to the underground Bemanicows network that enthusiasts used with illegal cracked copies of IIDX on their home computers. Unlike Bemanicows, Programmed World was only for real arcade machines, whether privately owned or in actual arcades. The service was offered free of charge to anyone who owned a machine. The first games offered on the service were Beatmania IIDX 17: Sirius, GuitarFreaks & DrumMania V8, and Pop’n Music 18: Sengoku Retsuden. The first machines to use this service already had legally licensed copies of the game installed, and were running offline before PW. In order to get these games online using the PW service, all you needed was a basic VPN router (The classic Linksys WRT54G flashed with TomatoVPN). You were then provided with a private key that would get you access. The service was basic at best. You were able to save your scores and that was about it. Secret songs were automatically unlocked. This was back when the games used a basic “Beat” or phase unlock system. PW simply told all of the games to go to the final phase which unlocks everything. Other features such as Net Taisen, an online battle mode for Pop’n Music and GFDM, were not functional. The next versions of IIDX and Pop’n Music brought about a major change in PW policy which can be attributed to it’s eventual death. When Beatmania IIDX 18: Resort Anthem and Pop’n Music 19: Tune Street were released in Japan, Konami started a new electronic currency called Paseli. This was essentially e-cash that could be used in game to pay in lieu of inserting 100 yen coins. Because machines were now processing actual money transactions, Konami could no longer leave their game data unencrypted. From this point, all Konami games would be encrypted with RSA encryption, and use standard, off-the-shelf SafeNet iKey 2032 dongles in place of the old serial dongles. Despite efforts, the Programmed World team could not get the encrypted versions of these games to work on their network. Even if they did, Konami began to implement the use of DLC content, which would only grow in use with each new game. Implementing this extra content onto the Programmed World cabinets would be very difficult in this manner. What was Programmed World to do? The service would be irrelevant if new versions could not be implemented. Some arcades would upgrade to the new version, but would have to go offline again. If you were a user, you would have to choose between playing an outdated version that kept your scores, or playing the new version offline. The Programmed World team made the decision to distribute cracked, decrypted game data to all participating arcades. This was the only way to stay relevant. Starting with beatmania IIDX 19: Lincle and eventually Pop’n Music 20: Fantasia, arcades on PW would receive game data free of charge, as well as any DLC content that was later released. This data came from a Japanese connection with the promise that it would eventually be publicly released for everyone to play on home computers. The Programmed World philosophy was that beatmania IIDX, Pop’n Music and GuitarFreaks & DrumMania were not sold outside of the territories of Japan, Korea and other southeast Asian countries. Even if you came to Konami with a million dollars, they will still refuse to sell you these games. Therefore, even though what PW was doing was no less than blatant copyright infringement, it was justifiable since Konami was not losing any money in territories where the game was not marketed. This is also why DDR was not a part of Programmed World until 2013. At the time, Betson had the rights to distribute DDR in the US. The final version published was DDR X2 in 2010. DDR X3 was secretly supported on PW for people who had legitimately purchased a kit, but it was not distributed to everybody. Up until this point, 100% participation in Programmed World was completely optional. If you had internet problems you could always turn off e-Amusement and run the game offline. Once IIDX 20: Tricoro and Pop’n Music 21: Sunny Park were released, Programmed World became a lifeline for every machine that used it. As stated above, starting with these versions, the game will not run without the network. For the players who got to experience it, Tricoro was a blast. Konami had fully embraced the DLC idea at that point, with more than half of the new songlist being added through DLC. Three major unlock events occurred over the period of a year, with PW closely mirroring the real service in Japan. It was almost too good to be true. Never before had Americans been able to unlock and play brand new songs at the same time as people in Japan. Unfortunately something bad also happened at the same time. In early 2013, Programmed World Tricoro and DDR X3 cracked data was stolen and privately distributed outside of the PW inner circle. In the past there was an honor system to not leak any data that you had, and most people conformed to this. After all, you would be banned from the service if you were caught leaking data. Infighting in the Bemani pirate community ensued, with several people being banned and breaking off to form their own private network to run the stolen data with. Eventually differences were reconciled, and the data was made publicly available. In fact, PW data control regulations had actually relaxed to a point where cracked data was being made publicly available only months after it was officially released by Konami. This quickly went back to the N-1 rule though, where only last year’s game would be publicly available. To prevent any further leaks, the Programmed World staff actually came up with their own form of DRM when IIDX 22: Spada and DDR 2013 were released. The ironic thing about this DRM is that it is actually more secure than Konami’s own encryption! Data that was distributed to arcades was now fully encrypted, and each arcade had it’s own separate decryption program and key. Your program had to download a decryption key from PW every time you turned the machine on. Try to leak the data and your key is revoked. And it’s been business as usual since then. Up until last week. On March 5, several arcades on Programmed World received informal cease and desist letters from Konami. The Programmed World staff complied, as it always had intended to if Konami ever asked. On March 8 at 8pm eastern time, the network was shut off forever, leaving any arcade machine that was still running on PW with a “Network Error” screen. What does the future hold? It is uncertain at this point. For now, public arcades have to revert to the last version of the games that can be run offline. Some brand new machines, such as Sound Voltex, do not have offline versions at all. Private machine owners can continue using last year’s publicly available cracked versions on the private network for home users, albeit in a free play environment only. The popular theory as to why Konami stepped in is because Round 1 is rapidly expanding in America. Round 1 is a chain of Japanese bowling alleys/amusement centers that have been aggressively expanding in the US in the past few years. (Think Japanese Dave and Busters) Their first US location is in the City of Industry, California, and it includes several Bemani machines including GFDM XG. They currently have three locations in California with two more on the horizon, one in Chicago, one in Dallas, as well as a Seattle and Massachusetts location coming soon. What makes Round 1 special is that they actually have Bemani machines running on the real Japanese e-Amusement network. This unfortunately makes them a direct competitor with Programmed World. On the other hand former Programmed World arcades are still left in the dark, as Konami still has no plans to sell Bemani machines stateside. Round 1, being a large Japanese company, has a special connection that lets them bring over their Japanese machines. Time will only tell if Konami will change their attitude and market their machines stateside. And what about other countries? There were arcade machines using Programmed World all over the world. As for the player, unless you’re lucky enough to live near a Round 1, it’s back to the dark ages for now. Great article, was a fun read!